Is Exercise the Key to Managing Your IBS Symptoms? Will Exercise Improve Your IBS Symptoms? Could exercise be the key to getting your symptoms of irritable bowel syndrome (IBS) under control? It's no secret that exercise is good for us, but working out with IBS can be tricky given how unpredictable symptoms of this disorder can be. But if you enjoy a good workout or are simply willing to try anything, even exercise, to better manage your IBS, it's important to learn about the relationship between physical fitness and this chronic medical condition. 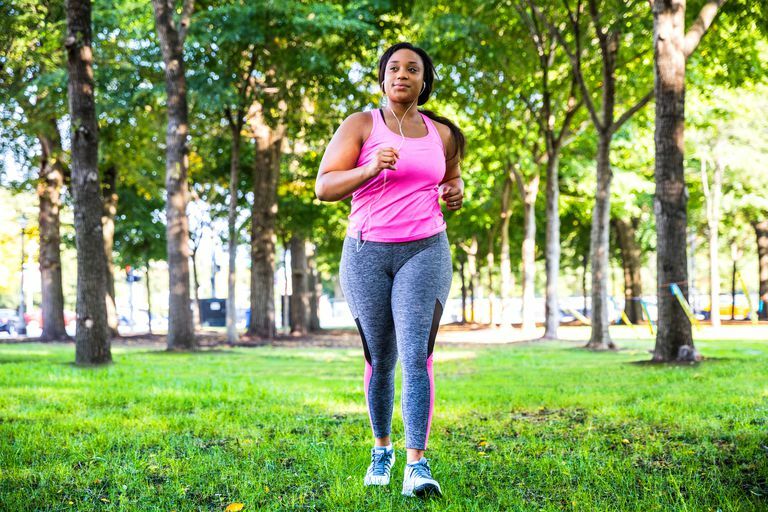 In addition to playing a protective role for your health, physical fitness may also improve the symptoms of a wide variety of health disorders one is already experiencing. Research indicates that, in general, exercise can either help or aggravate gastrointestinal (GI) symptoms (depending on the intensity level of the exercise). Mild and moderate exercise can reduce the risk of constipation, diverticular disease, gallstones, and, as stated above, colon cancer. Interestingly, a surprisingly large number of elite athletes, with estimates ranging as high as 50 percent, report that digestive symptoms interfere with their training and ability to compete. Females are at greater risk for unwanted GI symptoms, as are runners overall. The fear of developing these symptoms may keep people with IBS out of the gym, but the key is mild to moderate exercise. Try working out at a mild pace for 30 minutes and see if you can tolerate this short bout of exercise well. Exercise has been associated with improving the symptoms of disorders that overlap with IBS, such as depression and fibromyalgia. But there is not much known about the effect of exercise on IBS. One group of researchers found that a 12-week intervention in which moderate exercise was increased resulted in an improvement of IBS symptoms. With a five year follow-up, many of the patients continued to exercise moderately and not only experienced a continued improvement in their IBS symptoms, but also reported improvement in the areas of anxiety, depression, fatigue, and quality of life. Other researchers have identified a higher risk of experiencing IBS with diarrhea in distance runners. But you don't need to be an elite athlete to reap the many benefits of exercise. Should You Hit the Gym When You Have IBS? Although research does not have much to offer in terms of definitive answers, it does appear that moderate exercise may be of help to your IBS and will certainly be of help to your overall health. Be sure to stay well-hydrated. Don't exercise at an intensity you have not trained for. Eat small meals on exercise days. Avoid foods with lactose or sorbitol on exercise days. Johannesson, E., et.al. "Physical activity improves symptoms in irritable bowel syndrome: a randomized controlled trial." American Journal of Gastroenterology 2011 106:915-922. Johannesson, E., et.al. "Intervention to increase physical activity in irritable bowel syndrome shows long-term positive effects" World Journal of Gastroenterology 2015 21:600-608. Oliveira, E., et.al. "The impact of physical exercise on the gastrointestinal tract" Current Opinion in Clinical Nutrition and Metabolic Care 2009 12:533–538.